Are you aware of what processes refugees need to go through in order to have resettlement? People who are already in a vulnerable state from having to flee their homes are put through a long process of uncertainty and having their lives put on hold while they wait to find out if and where they will be resettled to. This is a process where every detail of their lives is poked and prodded while they are still dealing with the traumas they experienced before and while fleeing their homes. We cannot shut our doors and turn our backs on this vulnerable group of people who desperately want a place where they can feel safe and at peace again. 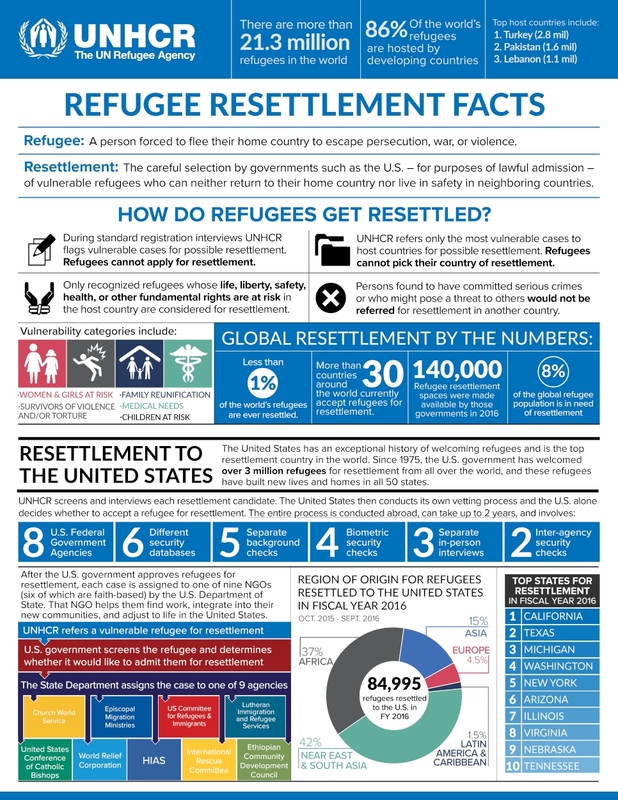 UNHCR released a visual aid that helps to guide us through the facts on the entire process of a refugee’s resettlement.